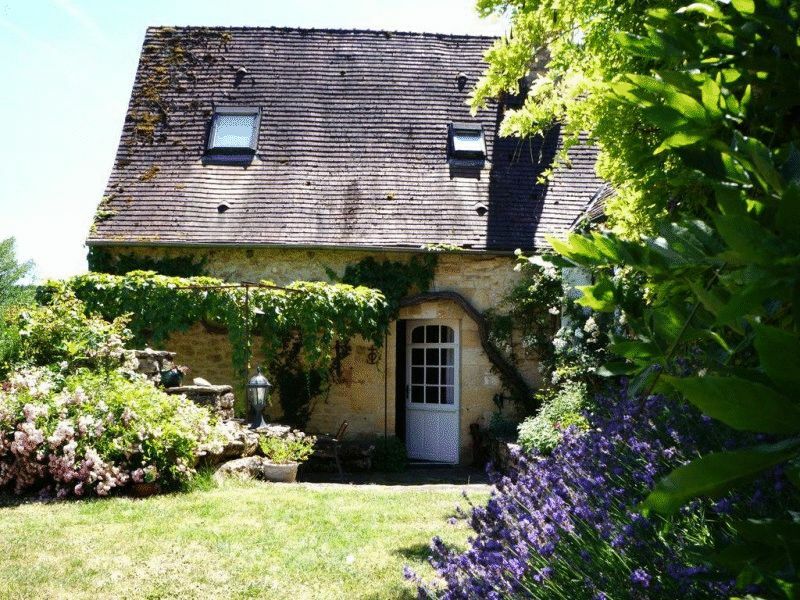 CHF16828 Character 4 Bedroom Stone built House dating from the 16th century with Double Garage set in just over 1/4 of an acre of Gardens with Swimming Pool and good views located on the edge of a village between St Cyprien and Beynac in the heart of the Dordogne valley. 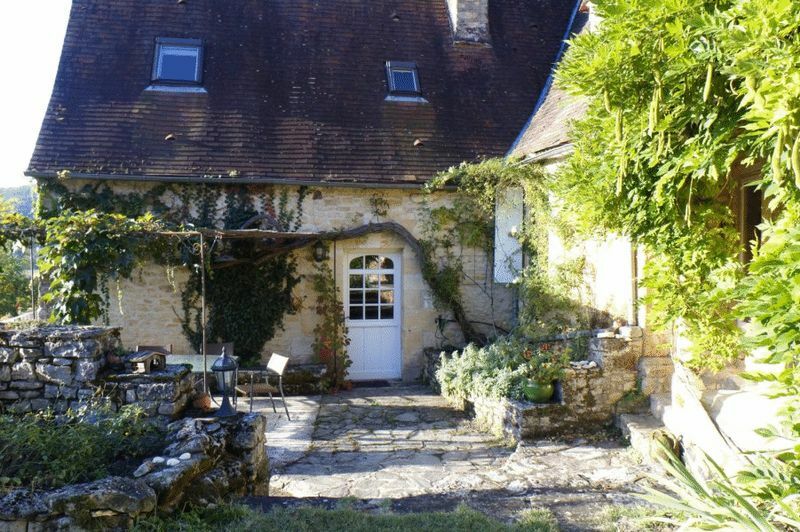 This spacious property offers 195 m² of light and airy living space and is presented in very good condition throughout. 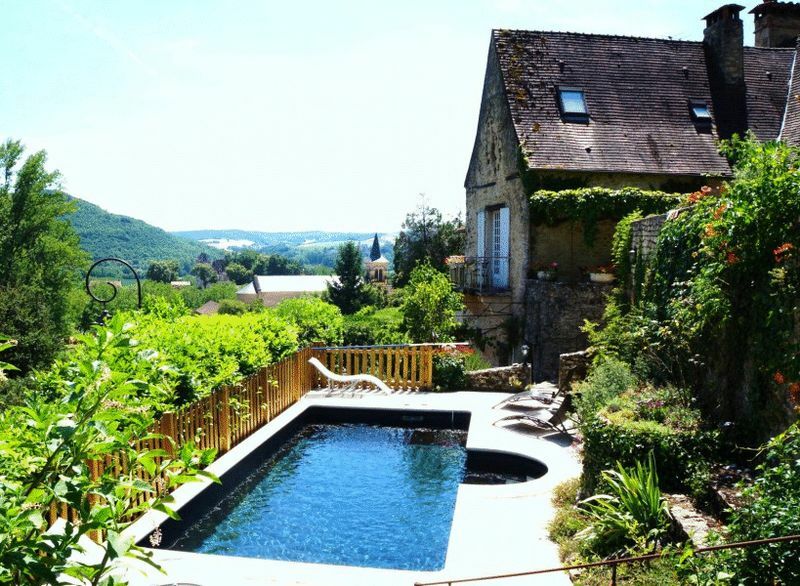 A ideal family home for either permanent or holiday use. 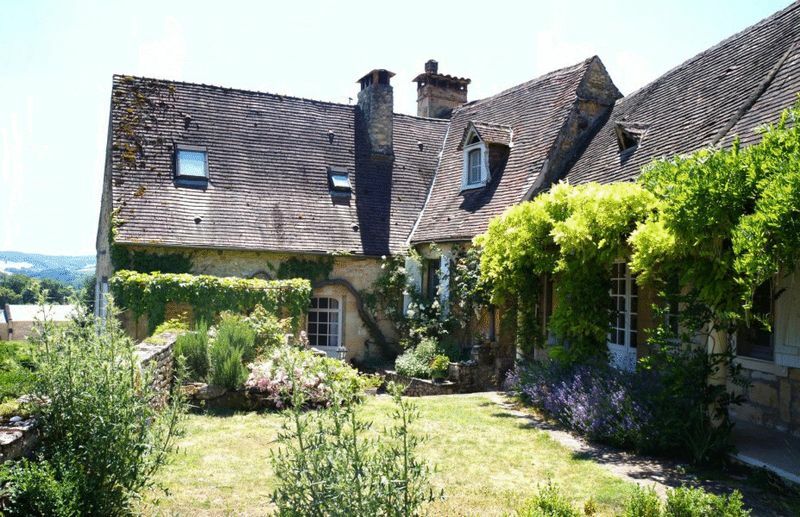 Close to shops and the river Dordogne. The House comprises on the Ground Floor : Entrance Hall 3 m². 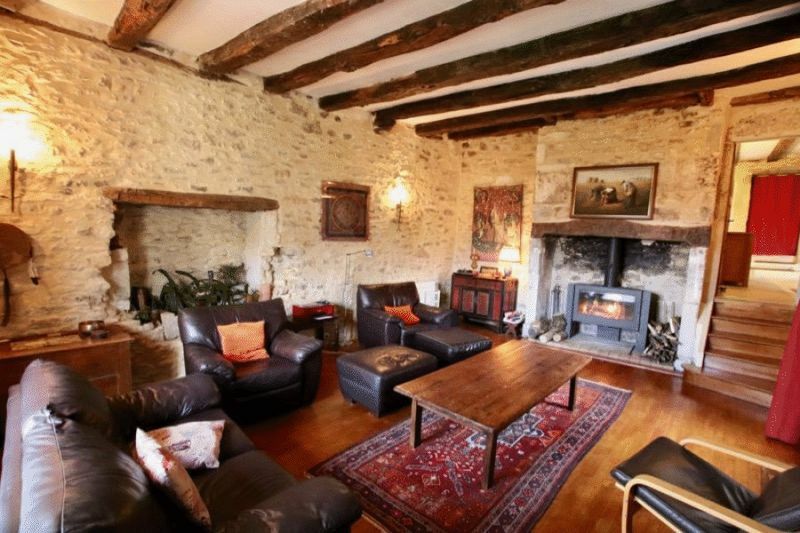 Sitting room 33 m² with wooden floor, exposed stone walls and beams, fireplace with fitted wood burning stove. 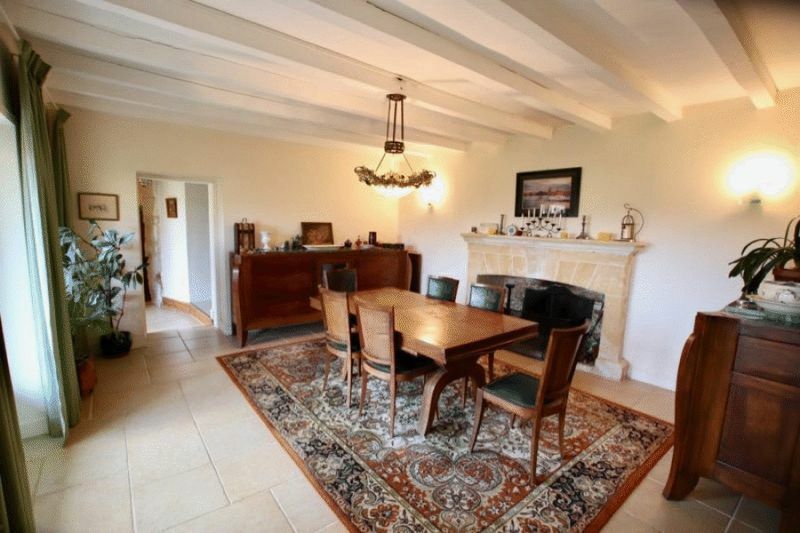 Dining Room 23 m² with tiled floor, exposed beams and fireplace. 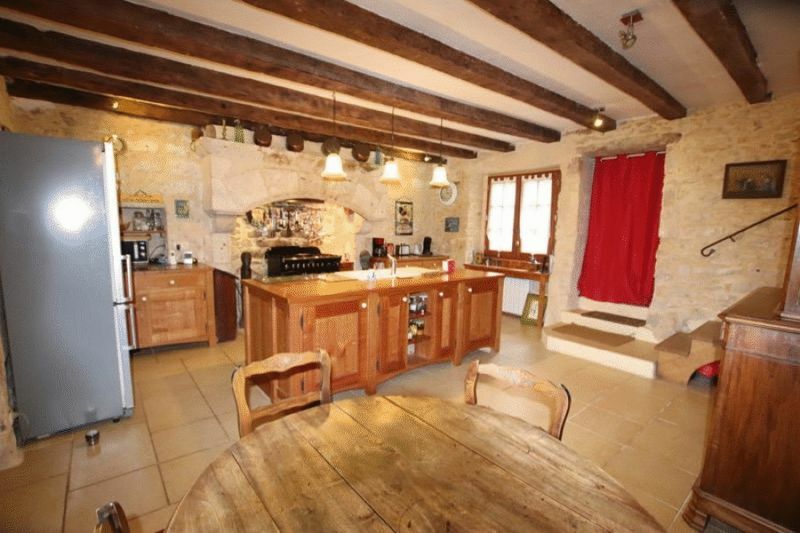 Spacious Farmhouse style Dining Kitchen with tiled floor, exposed stone walls and beams. 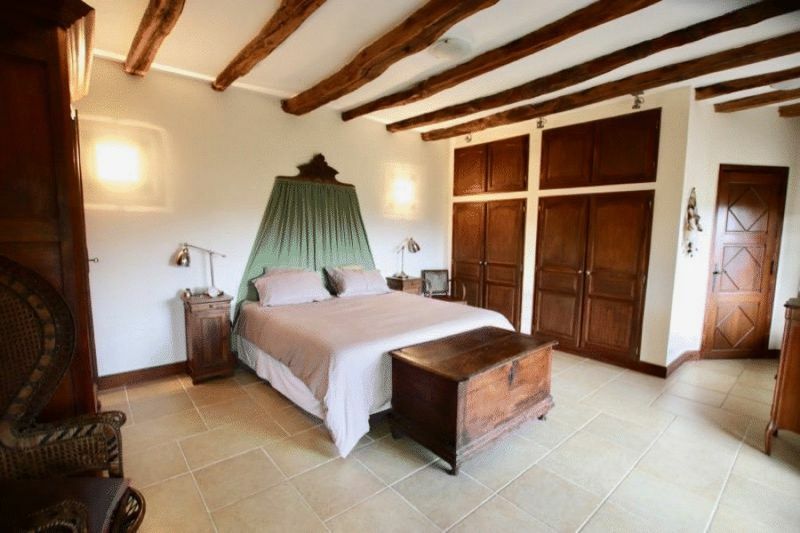 Bedroom (1) 21 m² with tiled floor, exposed beams and en suite bathroom 10 m² with bath, shower wash basin and wc. 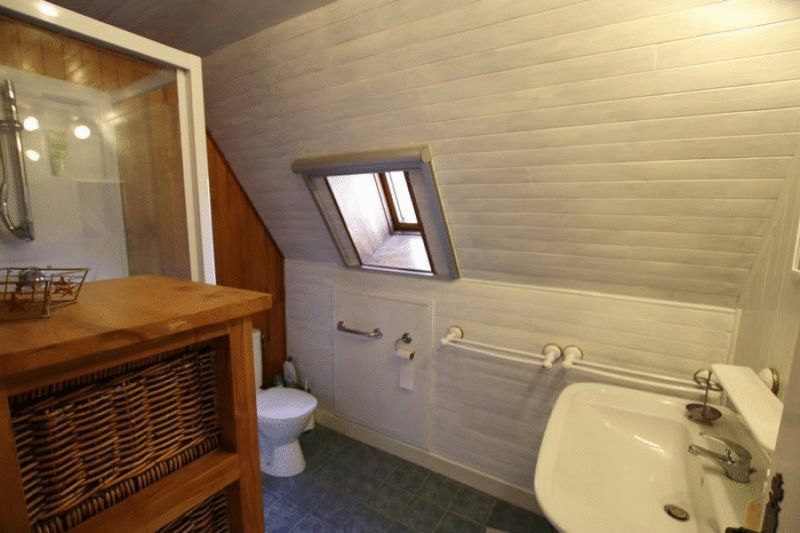 Guest WC with wash basin. On the First Floor : Landing Area. 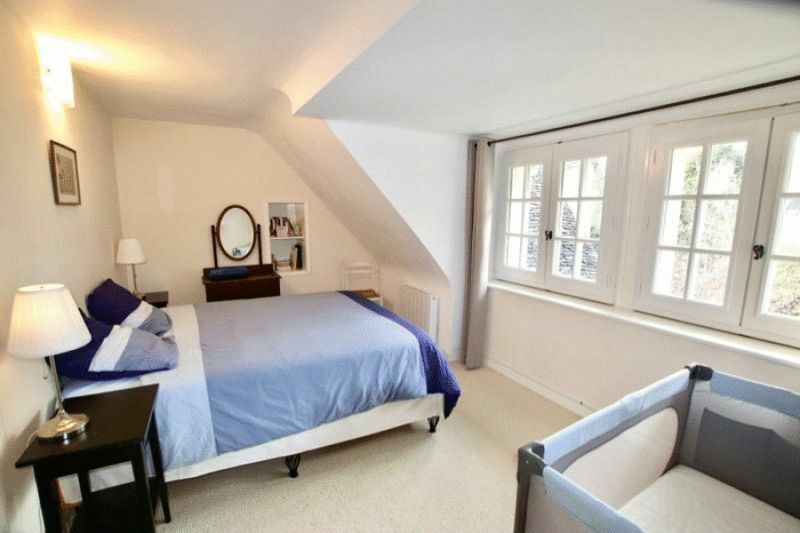 Bedroom (2) 13.83 m² with wooden floor. 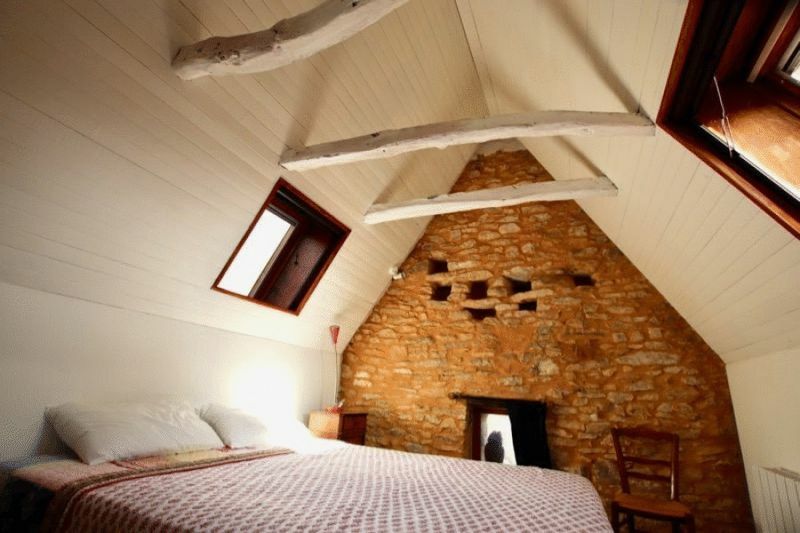 Bedroom (3) 12 m² with exposed stone wall and roof beams. Bedroom (4) 9 m² with wooden floor. 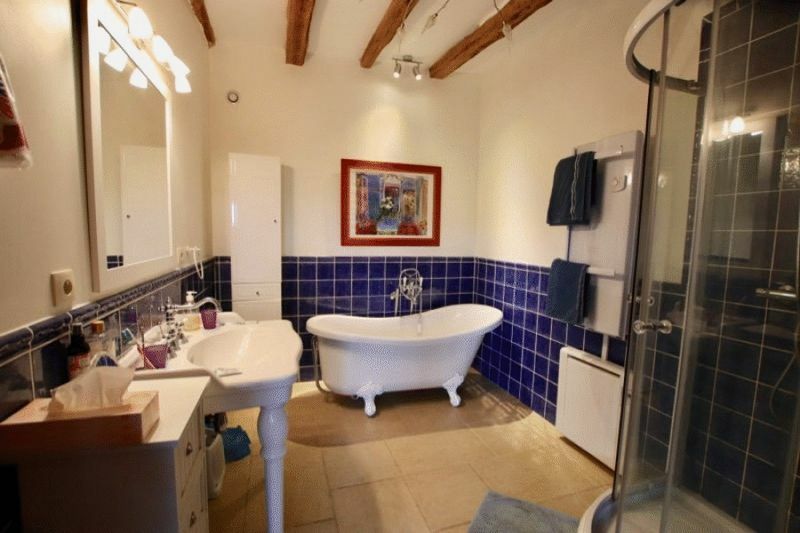 Family Shower Room 3.9 m² with tiled floor, shower, wash basin and wc. Exterior : Double Garage. 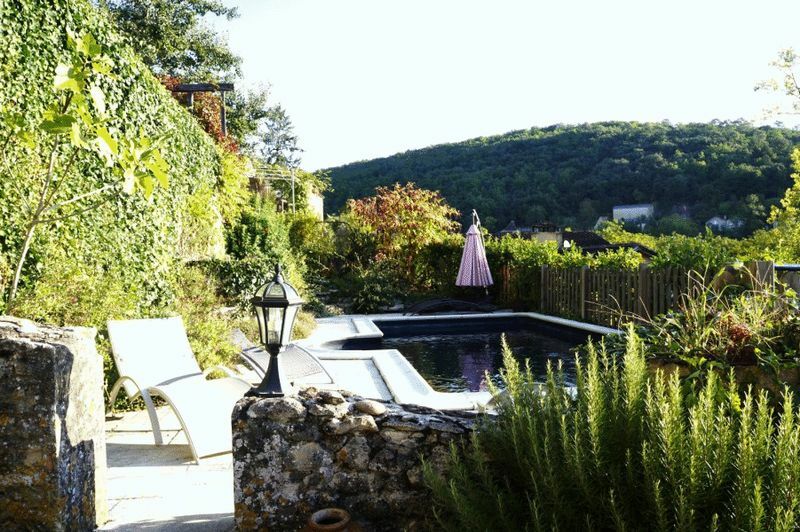 Terrace 20 m². 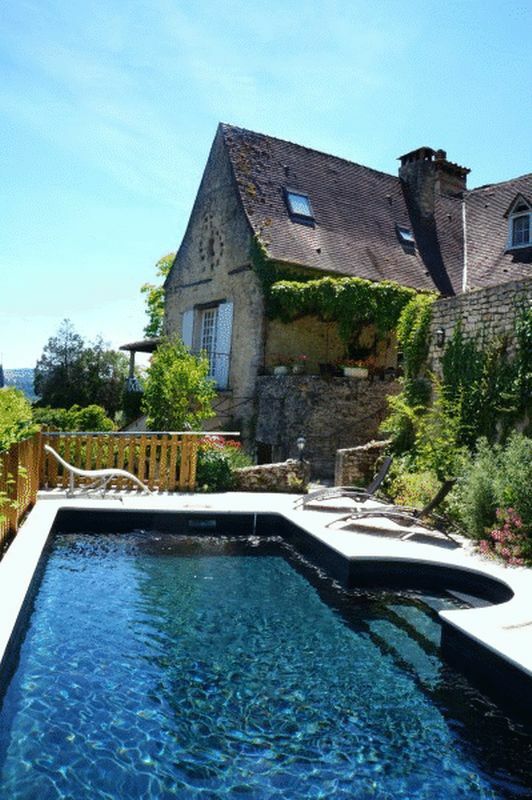 Swimming Pool 7m x 3m with paved terrace. 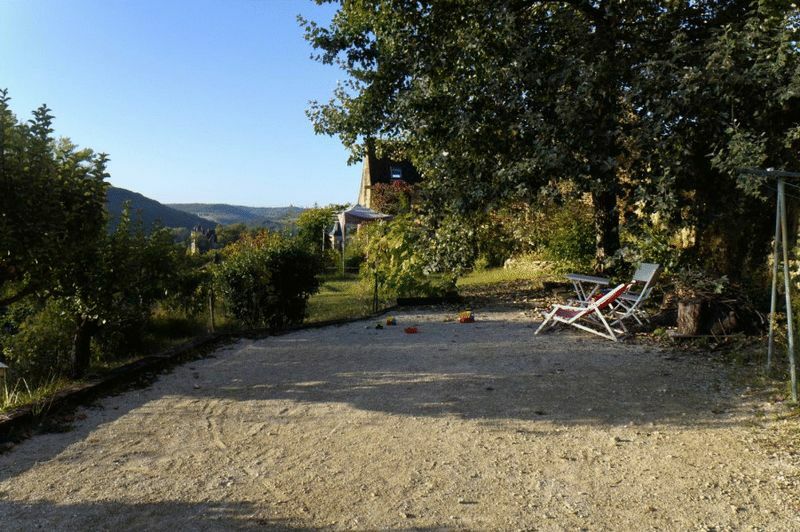 Terraced Gardens of 1,240 m² with good views.